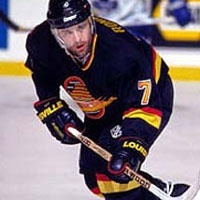 Played over 20 years; 19 in the NHL AND 1 year in Asiago Italy. At 5"7 164 pounds ended up 82 second all time Scorer in NHL history ! I was told by everyone to give up on my dream by saying "you are to Small to play in the NHL"! That only gave me more fuel to prove them wrong !